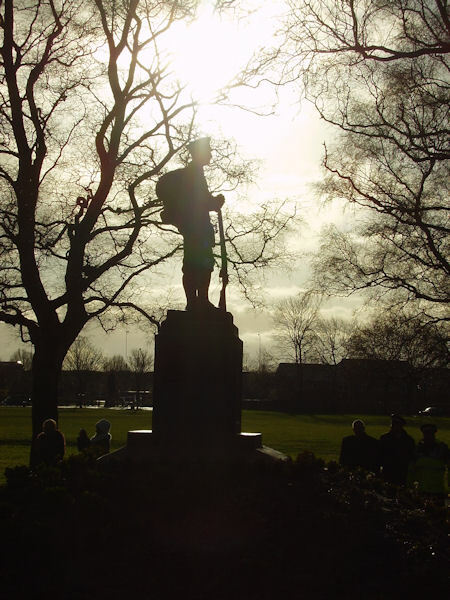 This site is dedicated to commemorating the men of Wolverhampton, who gave their lives in the two World Wars and later conflicts and to remember those who returned. If you have any information or pictures of the men commemorated I would like to hear from you. This is an ongoing project and some memorials will show more research than others. A * next to a mans name indicates that at the present time I'm unable to positively identify him. Please keep on returning to my site. Please use the menu system above, and the sub-menus that will appear on the left-hand side of the site, to navigate around the numerous locations in Wolverhampton and environs. Please contact me if you have information or photographs.